The Vaults is located in the old arched cellars of the Greyhound Coaching Inn. It offers a unique atmosphere for private parties and celebrations. As a private party venue, The Vaults has played host to birthday parties, anniversary dinners, charity events, hen parties, wedding receptions and even Santa’s Grotto. 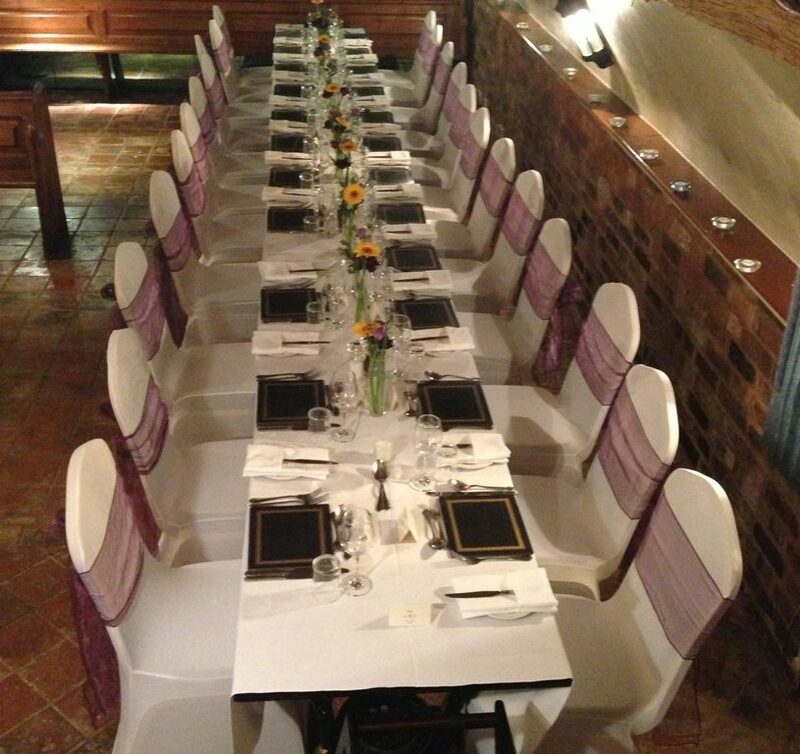 You won’t find anything else in the local area quite like The Vaults, offering a completely unique atmosphere, ambience and historical setting for a smaller private event of between 30 – 40 people. The Greyhound Coaching Inn offers 33 individually decorated en-suite bedrooms, where you can soak up the atmosphere of this Grade II listed hotel and enjoy the surroundings. If you have a larger group for a private event, wedding reception or celebration, you may also be interested in looking at The Greyhound Inn Restaurant or The Christina Room located on the first floor.